HERE’S THE DEAL: Summertime in Sun Valley, Idaho, is beautifully chaotic. The super long sunny days coupled with all the different events going on create a kind of raucous energy that blankets the valley all season long. The problem — and believe me, it’s what you’d call a “champagne problem” — is there’s so much happening in any given week or weekend that deciding what to do can quickly become an exercise in the paradox of choice. Do you want to play 36 holes of golf and then go to the symphony and an ice show? Or hike to a crystal-clear mountain lake with your dog before a yoga class, then dance your face off at a free outdoor concert in the park? Maybe you want go for a mountain bike ride, swim in the river, and have a beer on an outdoor patio while watching the sunset over the mountains? All totally possible. Basically, every day in Sun Valley is a choose-your-own-adventure, and there are no wrong choices…so get up, get out there, and get after it! 1. Party beneath the mountains and under the stars with big-name bands like the John Butler Trio and Wilco. The outdoor amphitheater at the River Run Day Lodge is one of the best live music venues out there. Located at the base of Bald Mountain on the banks of the Big Wood River, it has no assigned seating and the laid-back atmosphere encourages concertgoers to bring their own blankets and low-backed chairs. If you plan on sitting at all, that is. This summer’s lineup features bigger acts than ever before, including the John Butler Trio (June 23rd) and Wilco (August 16th). The relaxed venue, open-style seating, and food tents set up by local restaurants make the whole experience feel like a private party, and the bands can’t help but respond, always putting on a great show and promising to come back. Local tip: Plan a hike up Baldy on the day of a concert, and enjoy all the music for free as you walk back down the Bald Mountain Trail — it begins and ends at the amphitheater. 2. Get down and dirty at the Ride Sun Valley Bike Festival. Ride Sun Valley has it all. Starting with the rowdy Sheeptown Drag Race and ending with the Idaho State Pump Track Championships, the four-day festival (June 25th – 28th) is packed with guided rides, world-class races, goofy events, costumes, live music, and nonstop entertainment. “It’s a bike festival that reflects the character of the local community,” says Ride Sun Valley’s founder Greg Randolph, aka Chopper. “Folks here take their recreation seriously and love a good party.” The racing is definitely for real, but the festival is all about getting people to participate. It’s also really affordable — most of the events are free. Local tip: Costumes are always encouraged in Sun Valley, especially at a festival like this. Feel free to get weird — we promise the more “out there” you get, the more you’ll blend right in. 3. Put the pedal to the metal and test your car with no speed limit. Just north of Sun Valley on Highway 75 there’s a long straightaway and gentle slope called Phantom Hill, and it’s pretty much the perfect place for seeing how fast your car can go. For one day a year, the Blaine County Sheriff’s Department closes off this 3.2-mile stretch of blacktop and throws the speed limit out the window. That’s right, no speed limit. The result is the Sun Valley Road Rally (July 24th – 25th), an event unlike any other in the US. Drivers come from all over the world, and you’ll see the fastest cars anywhere get their engines pushed to the limit beneath the Sawtooth Mountains. Seriously, just watching a one-of-a-kind Bugatti Veyron Super Sport Pur Blanc roar by at 246mph is a buzz. Local tip: Obviously you’d need to be a high roller with cash and gas to burn to enter this event, but tickets to attend are just $10 and include transport to Phantom Hill. 4. Dance your face off at free weekly outdoor concerts in the park. 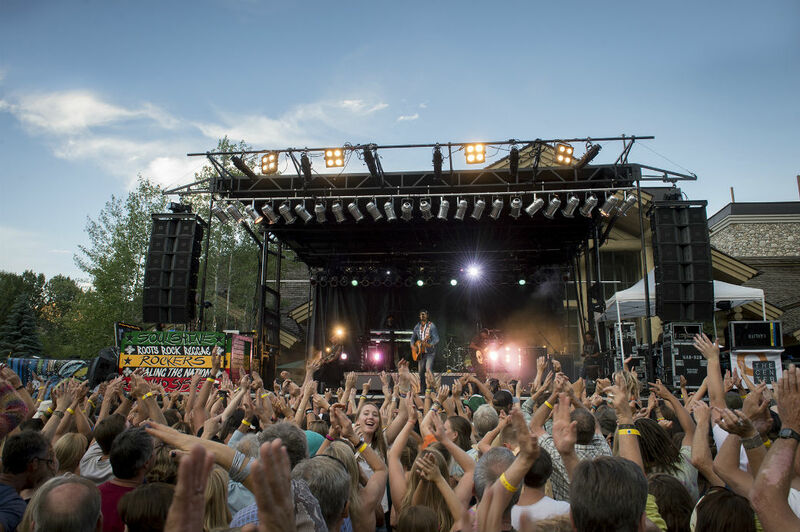 Equal parts dance party, family reunion, and tailgate extravaganza, Ketch’em Alive (Tuesdays, June 16th – August 11th) kicks off every summer week in Sun Valley with a bang. The free outdoor concerts are held in the Forest Service park just a block from Main Street, and it brings locals from all walks of life out of the woodwork. Picnic blankets get laid down, wine and cheese plates are unleashed, little kids start to dance, and pretty soon the entire park turns into a giant all-ages mountain-town hoedown. From reggae to bluegrass and big-city funk, the bands come from all over the West and feed off the unreserved energy of the crowd. Throw in a colorful sunset over Baldy and a cooler full of local beer, and you’ll soon realize why Sun Valley rules in the summertime…and it’s only Tuesday! Local tip: Buy a six pack and go dance! 5. Throw down at the Northern Rockies Music Festival. No mountain-town summer is complete without the rip-roaring good times of a music festival, and the Northern Rockies Music Festival (July 31st – August 1st) offers that and more. There’s camping right next to the venue and the river, the fest’s just a short walk from downtown Hailey, and the family-friendly weekend is chock-full of amazing bands. 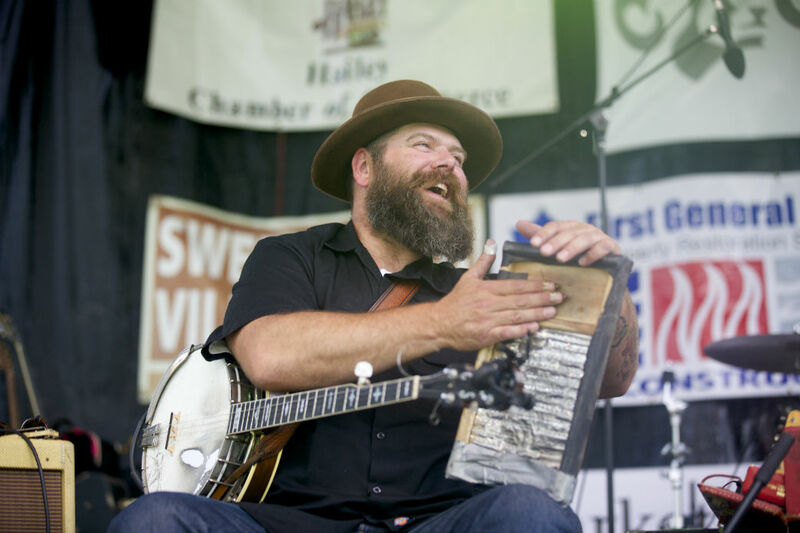 Headlining this year’s festival are the Polyrhythmics, Honey Island Swamp Band, Jeff Crosby and the Refugees, Carolyn Wonderland, and several others that’ll keep it rocking all day and night long. Local tip: The best way to experience this festival is to camp at the venue. Make sure to bring your mountain bike, as the trails you can access from the campground are some of the best around. Keep your eye out for the nearby secret hot springs; if a local offers to show you the way, say yes immediately. 6. Grab a glass of good wine, celebrate the good life, and do it all for a good cause. For the last 34 years, the Sun Valley Center Wine Auction (July 23rd – 25th) has been the best party of the summer. And in a place like Sun Valley, that’s saying a lot. An intimate but raucous gathering that celebrates wine, food, art, and local culture, the SVC Wine Auction musters a top-tier group of vintners and chefs to support the center and their mission to educate, promote, and enhance arts and culture in the valley and beyond. Events range from small family-style dinners at private homes with the West’s best winemakers and chefs, to the elegant auction dinner and the often-rowdy wine picnic, and there are lots of different recreational opportunities to fill up the days and help wash away last night’s indulgences. Local tip: While the event as a whole can be on the pricey side, a ticket to the Wine Auction Picnic is totally affordable. Held on the final day, the picnic is a great way to sample all the delicious food and wine while being surrounded by fun locals partying to live music. 7. Have a picnic on the grass while listening to a 120-piece symphony — for free. Time for Three, who will be premiering a Sun Valley Summer Symphony commissioned work with the full orchestra on August 4. Photo by Nils Ribi. After a day exploring the trails, rivers, and peaks of the Sun Valley area, settling down on a blanket and checking out a concert featuring 120 world-class classical musicians, glass of wine in hand, is pretty magical. Even more so when it’s free. Yes, free. 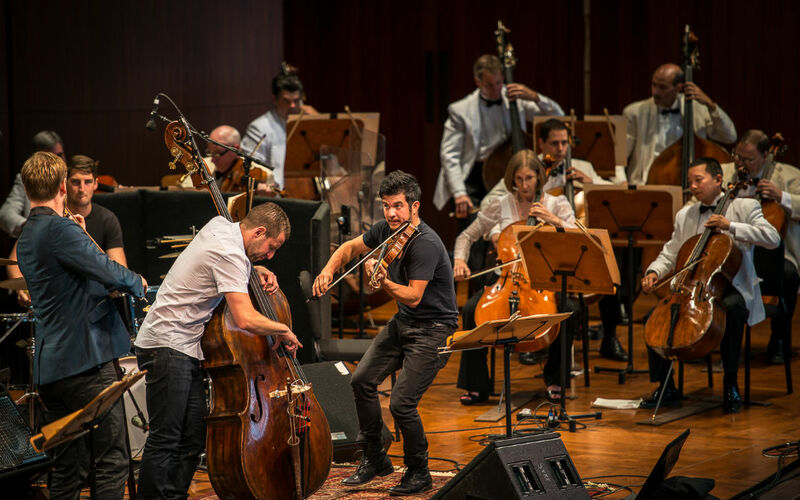 The largest privately funded free-admission orchestra in America, the Sun Valley Symphony represents everything that makes summertime in Sun Valley so special: It’s haute culture served in a casual atmosphere. It’s outdoors. It brings people from all walks of life together to celebrate being in the mountains and life and music. Come and go as you please — there’s nothing stuffy about this event. Local tip: The Sun Valley Summer Symphony is one of the best places to take a date. Pack a picnic, ride your bikes over, and let the music and sky do the talking. 8. Listen to Pulitzer Prize-winning authors, world-class conflict journalists, and podcast stars. Now in its 21st year, the Sun Valley Writers’ Conference (July 17th – 20th) celebrates the literary tradition of these mountains in style. This year’s group of speakers includes Anthony Doerr, author of the Pulitzer Prize-winning novel All the Light We Cannot See; and Sarah Koenig, co-creator and host of the podcast Serial. While the festival is centered around ideas and the speakers, the many recreational pursuits available in Sun Valley — hiking, golfing, whitewater rafting — provide an abundance of attractive distractions. Local tip: If you can’t find or can’t afford a pass to the SVWC, no fear — tickets for select individual talks ($35 each) as well as three-talk packages ($70) at the Pavilion are available on SVWC starting June 19th. 9. Get stuck in traffic — Idaho-style. Even after summer’s luster has long faded, Sun Valley doesn’t slow down. 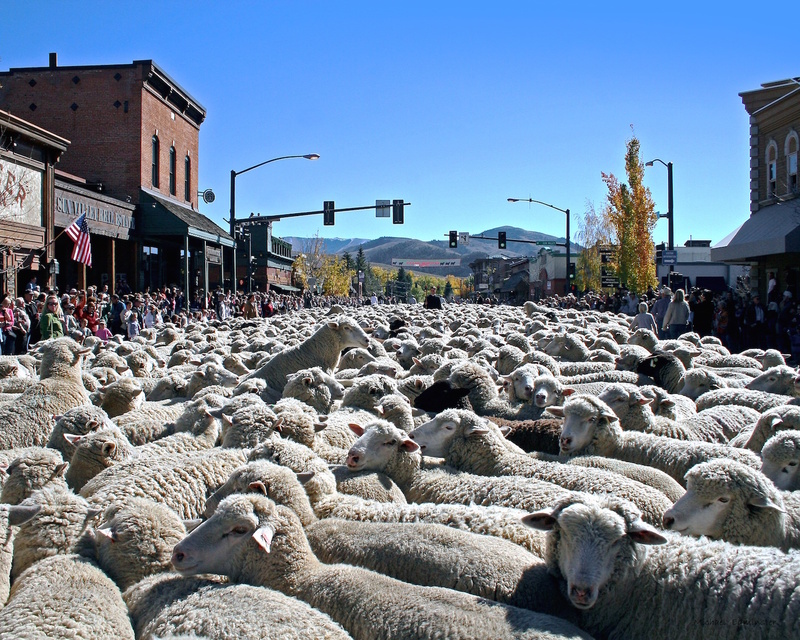 Every fall, thousands of sheep come down from their summertime pastures high in the mountains and funnel through Main Street in Ketchum, shutting down the roads. It’s a sight to behold that’s grown into a fun weekend-long festival celebrating the Basque and Peruvian heritage of many of the shepherds with dancing, live music, and great ethnic food.